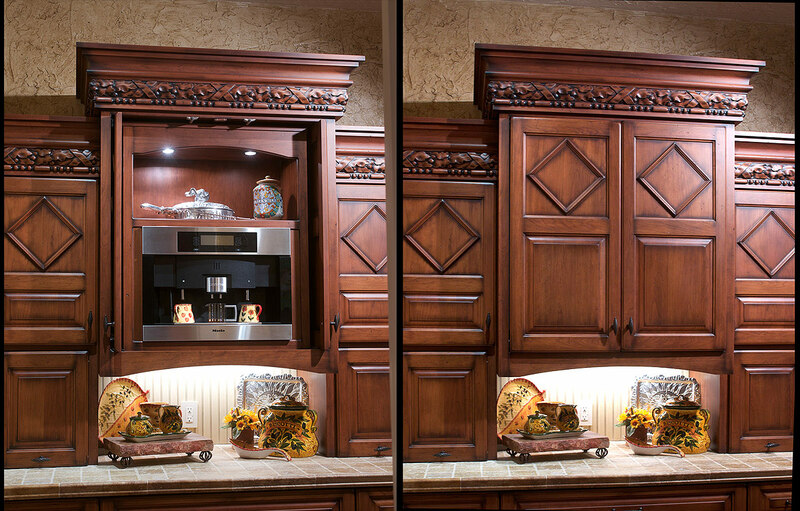 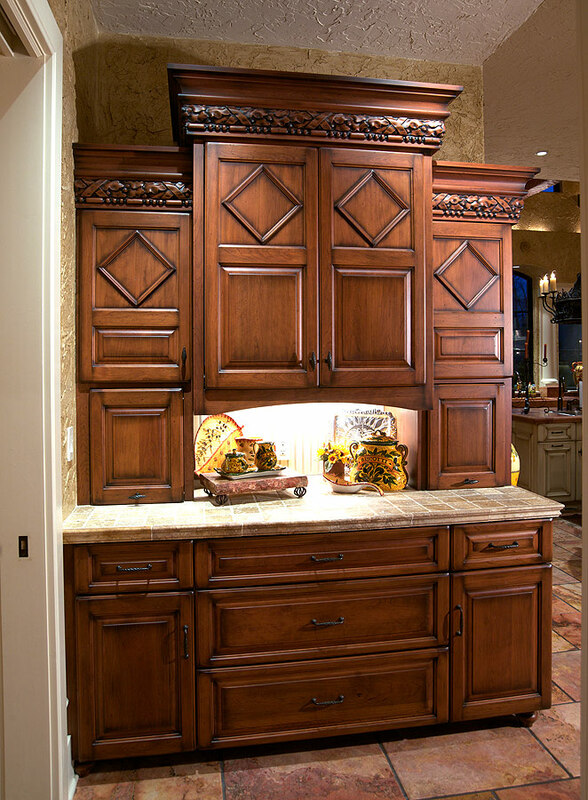 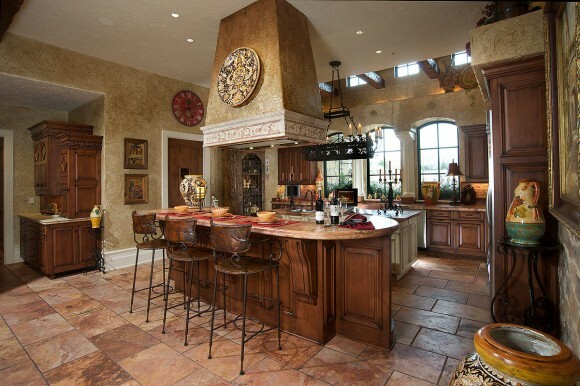 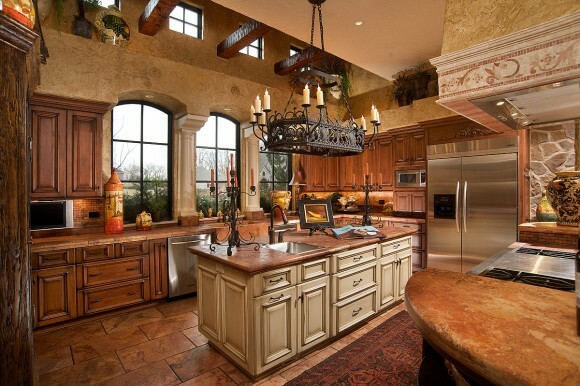 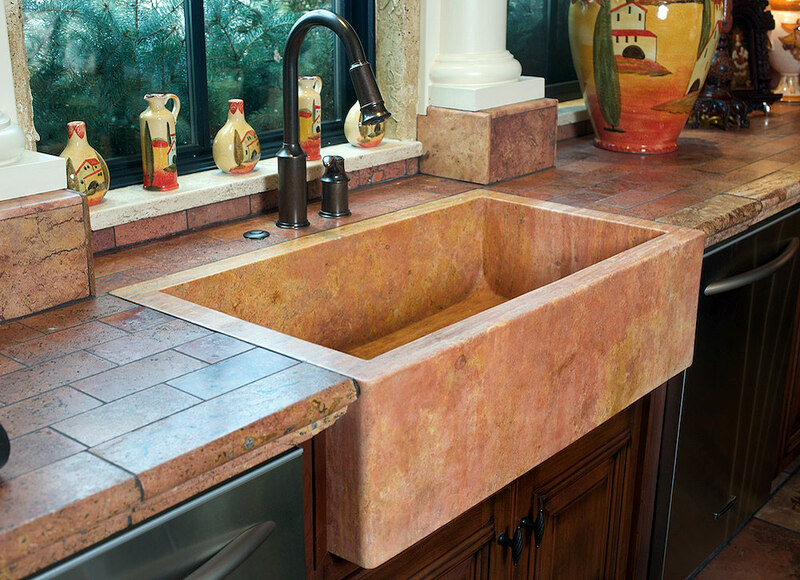 This Mediterranean Style Kitchen features distressed Cherry cabinetry as well as custom painted and glazed accents. 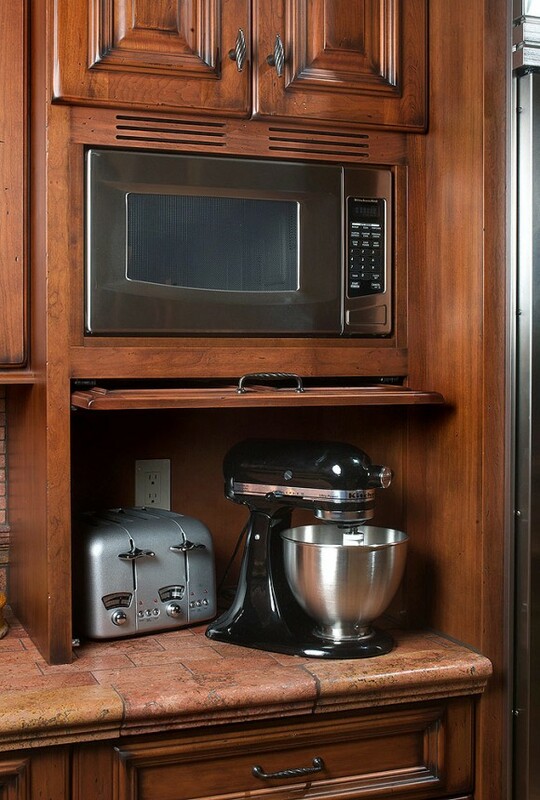 Numerous amenities include a cooking island with a bar-height eating area, a center workspace, and a custom hutch with a built-in coffee machine and microwave. 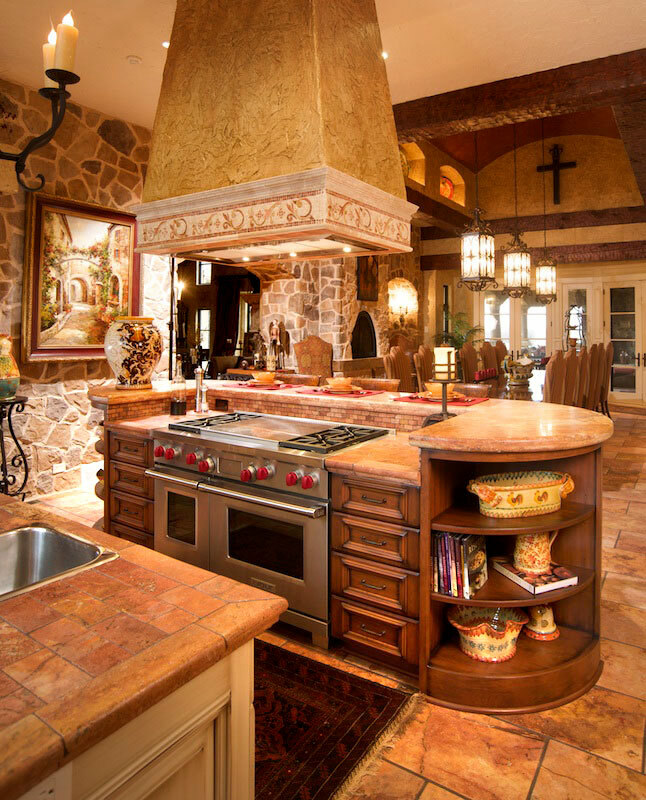 Bon Giorno!